Malta: the country that God built. Well, kind of. Malta is well-known for being the once-stronghold of the famous religious military order, The Knights Hospitaller, who were granted the land in 1530 from the King of Spain in exchange for an annual fee of one Maltese falcon (which eventually inspired the name of Dashiell Hammett’s famous novel). And these marauding knights certainly did a great job putting the place together. Valletta, the nation’s capital, remains the highlight and exploring this fascinating walled city (which kept the Hospitallers secure until they came across Napoleon in 1798) is akin to walking back in time. It’s small size (just 0.3 square miles) makes it the perfect cruise stopover and is the ideal base for exploring the rest of the country on excursions. The port of Valletta is within easy walking distance of the city centre (no more than 1km regardless of where you are docked) and although it can be a little hilly – it shouldn’t be a problem for most able-bodied walkers. If you want to visit the ancient city of Mdina then you’ll need to book yourself on an excursion provided by the cruise line or take a taxi (a single fare shouldn’t cost more than €20). Grand Master’s Palace: The seat of the Grand Master of the Knights Hospitaller for the entirety of their time on the island – and which eventually became the base for the parliament of Malta. While the exterior of the building may not be much to shout about, if you head inside you’ll be greeted by vast quantities of artwork and tapestries collected over the centuries, and make sure to visit the Armoury to see thousands of suits of armour worn by the Knights Hospitaller. 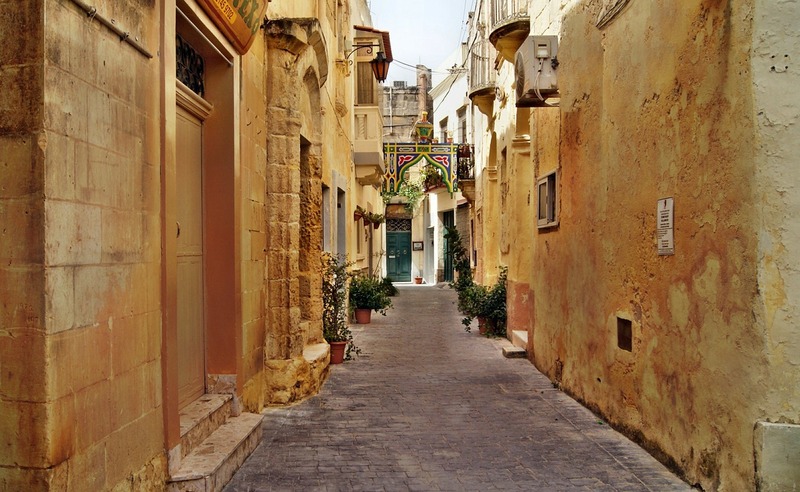 Mdina: History surrounds you in the fascinating walled city of Mdina – once the capital of the island and now home to just under 300 people as of the last census – now known as ‘The Silent City’. Explore the majestic St. Paul’s Cathedral and its beautiful frescoes, feed your curiosity at the Natural History Museum or merely stroll around the ancient walls and breathe in thousands of years of history. Worth booking an excursion for. St John’s Co-Cathedral: There’s a pattern with many Maltese buildings – a plain exterior which belies an impressive interior. St. John’s Co-Cathedral (so-named because it shares the Archbishop’s seat with St. Paul’s Cathedral in Mdina) is no exception. It doesn’t look much from the outside, but once you step foot inside the explosion of colour and detail of this baroque, grand cathedral strikes you instantly. Never judge a book by its cover, as they say. Crystal Palace: If you want the best pastizzi (mini pastries filled with cheese or peas), you have to make the long journey to this small café in Rabat. Trust us, it’s well worth it. Legligin: An authentic slice of Malta can be found in the cellar of this Valletta haunt – a great wine list and traditional recipes make this restaurant a sure-fire hit. Nenu the Artisan Baker: There is no better place in Valletta for a spot of lunch than this fantastic bakery – their Maltese ftiras are to die for. Republic Street: Head down to Valletta’s main shopping street to find the usual assortment of high street brands and cafes to relax in. The Point Shopping Mall: Just a hop, skip and a ferry from Valletta is Malta’s largest shopping centre – the perfect way to while away an afternoon. Valletta Sunday Market: Held every Sunday (make sure to plan your itinerary perfectly), this bustling street market attracts locals from across the whole of Malta. Traffic in Malta can be a nightmare. Drivers don’t pay much mind to pedestrians; the city centre can get packed very quickly and even public transport can fill up before you know it. We advise you stick to walking.